We would not know Jesus unless someone had invested time in us to tell us. Sometimes we forget that God put us on someone else's heart and they were compelled to share Him with us. We are followers because of followers. So our job is to share the message of Jesus and make followers. This year at CrossPointe we are taking on the 1 for 1 for 12 Challenge or what we are calling One. 1 for 1 for 12 simply means: Invite one person per month for 12 months. 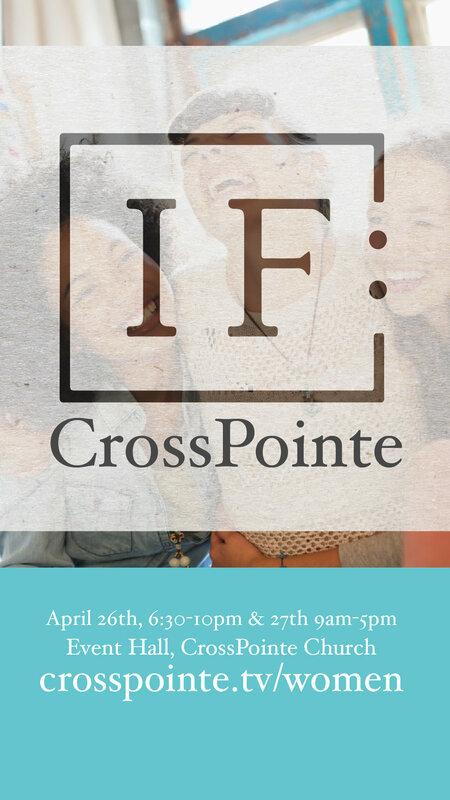 We believe that God has 12 people He wants you to invite to CrossPointe. You may not even know them yet, but He does and He's going to give you a chance to invite them. They will become your "One". Each month, you will be challenged to invite your "One" to a meal, special event, or service. So, start praying and ask God to point out your "One" every month! Our annual Send-a-Kid-to-Camp fundraiser is here! Wednesday June 26th businesses have agreed to partner with us to help raise funds for RFK and TRAC. These businesses are donating a portion of their daily sales to support these camps that serve the foster children in our community. Please consider visiting any of these locations and show your support. Visit www.rfknorman.org for a complete list of participating businesses. 3rd Annual Happy Camper Run is coming soon! Join us at CrossPointe Church on Saturday March 30th at 8am for the 5K or 9am for the 1 mile. Come enjoy a great family event and support this fundraiser to help send foster kids to Royal Family and Teen Reach Camps. We are also looking for volunteers to help before, during and after the event. For more information or to volunteer please contact Trey Roberts 405-203-1723. Join us for a Prayer Vigil, Friday March 29, from 9AM to 9PM in the main sanctuary at CrossPointe as we pray for our 3Rs campaign, our church, and our community. You are more than welcome to come at any time or use the guide below to pray from your home. Click to download the prayer vigil guide. We need your help filling 30,000 Easter eggs. You can pick up your eggs at each Welcome Center/Information Pointe. Please make sure you fill out the attached form and return it with you eggs. We are also accepting candy and money donations to help with the cost of filling the eggs. If you would like to donate candy please make sure the candy is individually wrapped and that it is not chocolate (chocolate melts). Please return your filled eggs by April 10th. We will be painting this design! 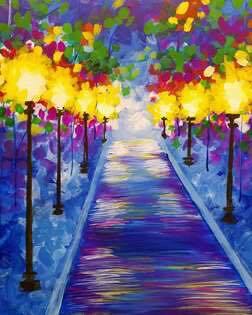 March 4th from 7:00-9:00 pm, join us for a ladies night out at Pinot's Palette! The cost per person is $35. The registration link is below, register early so you can secure your spot! Feel free to invite any ladies you think would enjoy the evening with us. If you have been to Pinot's before, you know it's a fun experience and if you haven't....try something new! Would you like to provide hope and a future to at-risk teens in the Foster system? Would you be willing to give up a weekend of your time to serve God's children? Then TRAC is the place for you. 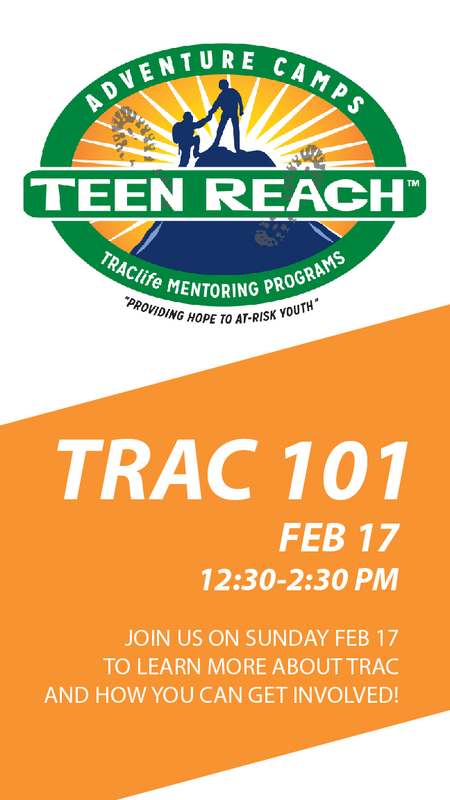 TRAC 101 is on February 17th in the Event Hall from 12:30 to 2:30 p.m. If you would like to learn more about Teen Reach Adventure Camp and how you can get involved, we would love to have you. Lunch and child care is provided. Stop by our table in the Great Hall this week. Have you made a new year’s resolution to improve your overall health and wellness for 2019? Then Cross Training might just be the class your looking for! Throughout this six week course, Cross Training’s goal will be to educate and encourage people in their pursuit to honor God with their bodies through healthier living. The class will be held on Wednesday evenings February 6 through March 13. There is no cost to attend the class. For additional information or to register, email BJ Brewer at sportspastor72@gmail.com. Dave Ramsey's "Life, Money, Hope" Class will be starting Wednesday, January 30th at 6:30 PM. This class will last for 5 weeks. Come and listen to Dave Ramsey talk about debt and money, offering biblical advice about some of life's most difficult problems. Learn the basics of finance according to the Bible, how to break the power of debt, and the number one myth about money. Lead by Jeff and Michelle Brogden. Unite Weekend is always one of the best weekends on our Student Ministry Calendar. This will be a great opportunity to have fun, grow closer to God, and hangout with friends all weekend. There will be games, great food, and Host Homes to spend the night at. We split up into groups for our Host Homes and Talk Back Times. The groups will be: 6th-7th grade girls, 6th-8th grade boys, 8th-9th grade girls, 10th-12th grade girls, and 9th-12th grade boys. Sleeping bag (be ready to sleep on floor), pillow, recreation clothes, warm clothes (because we will be outside), personal hygiene stuff, shower stuff, towel, Bible, and jeans to wear with Unite Weekend shirt on Sunday. Invite your friends we have plenty of room and it is going to be an epic weekend! 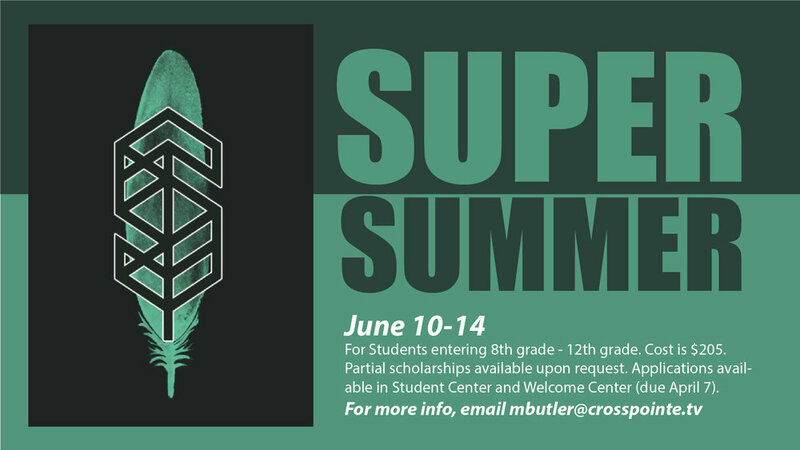 Contact Mike Luster our Student Pastor at mluster@crosspointe.tv or the church office at 405-329-0823 for more information. 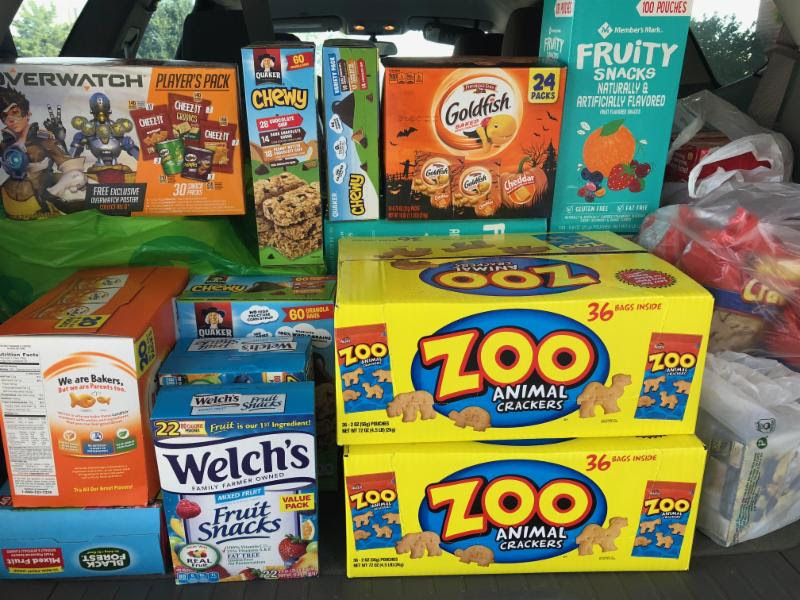 It is snack drive time again! Reagan Elementary's snack supplies are getting low. We would like to continue to support Reagan Elementary throughout the school year. Some kids cannot afford to bring snacks to school. We would like to make sure every student has a snack to eat each day. You can help! Please consider purchasing snacks to donate to Reagan. Snacks need to be individually packaged. Good snacks to buy would be gold fish, animal crackers, fruit snacks, and Quaker chewy bars. Place the snacks in the box by the Children's Welcome Center. Plan to join us all through the month of January as we celebrate 20 years of CrossPointe at Hwy. 9 and SE 24th! During each Sunday in the month of January, we will honor a different aspect of CrossPointe's legacy -- building projects; weddings, baptisms and baby dedications; the worldwide impact of CrossPointe; and the future of CrossPointe! Our celebration will also include a ministry fair on January 20, and baptisms, a time capsule and church-wide dinner as we wrap up on January 27. It's hard to believe we've been here 20 years, but we believe the best is yet to come! Join us at 5 PM on December 24th in the Main Sanctuary, for a time of worship and reflection for the entire family. 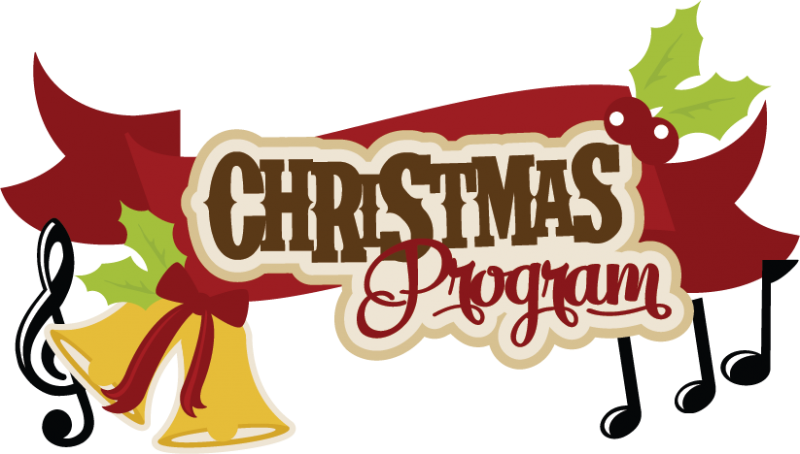 This year the Kids' Choirs will do their Christmas Programs during our Sunday Services on December 9th at 9:00 AM and 10:30 AM. There is still time if your children, three years old through 6th grade, would like to participate. Join us on Wednesday evenings at 6:30 PM. If you are in need of a Christmas Food Basket or if you know someone who needs one, please call Debbie McKiddy at 405-329-0823 to get on the list. The Christmas Food Baskets will be distributed in the Event Hall on December 8, 2018 from 7:30 AM - Noon. We will provide tea, water, and coffee. In lieu of a gift exchange, we are asking you to make a donation to the Mabel Bassett Christmas fund. We will have a donation box beginning November 25th for 4 Sundays or you can bring your donation to the party on the 3rd. Dear Church Family, over the years you have been very generous in your donations to the Clothes Closet. We are forever grateful for your support. Once again we are asking for your kind donations of coats for all ages male and female. We also need all sizes of male pants or jeans. Thank you for your continued support of this ministry! Come eat a great lunch for a great cause on Sunday, November 4th in the Student Center . There are 6 students from CrossPointe going to the Ivory Coast with 1040i on the February mission trip, and they need help raising funds to be able to go. They will be serving a spaghetti lunch after church that Sunday for donations, a FULL-SERVICE lunch at that. No lines, come sit at a table and be served better than any restaurant in town. Lunch starts at 11:30 AM so come with an appetite and help send these missionaries to Africa! CrossPointe's Fall Family Festival is a day trip to the Cornerstone Kids Ranch for the annual pumpkin patch. We will spend the day play games, exploring the hay maze, train rides, large inflatables, pony rides, a petting farm, a diamond dig, pedal cars, duck races and more! Admission is $9 per person (children under 2 are free), payment made at the gate. Each person's admission includes a Jack-O’-Lantern pumpkin & hotdog picnic. You can ride the bus or meet us at the Ranch. 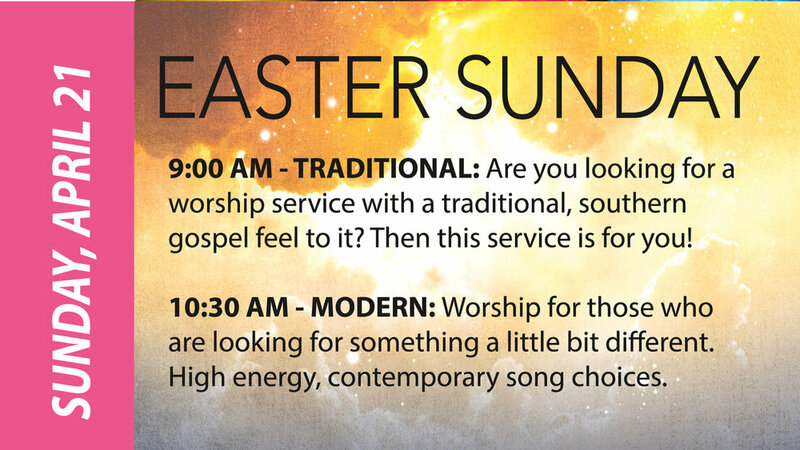 It is around a 1 hour and 15 minute drive from CrossPointe Church. If riding the bus please make sure to sign up at the Children’s Welcome Center to insure seat availability. Bus Leaves the church promptly at 2:00pm and will return by 7:30pm.